Great community. The amenities are great. I just wish the theater room was accessible after hours. But I really enjoy living here and would recommend. I've been living here for over a year now &getting ready to renew!! This place have all the amenities you need & more!! If I could rate this place 10 stars I would. Still haven’t been able to get a working key fob for amenities. & would like if office would answer more calls rather than letting it go to vm. Otherwise place is great! Love this place is dog friendly! Excellent community, quiet, wonderful management team. Location is great close to highways, supermarkets, pharmacy, you have everything just close. Customer service is excellent. People are friendly. Amenities is awesome and location is perfect. 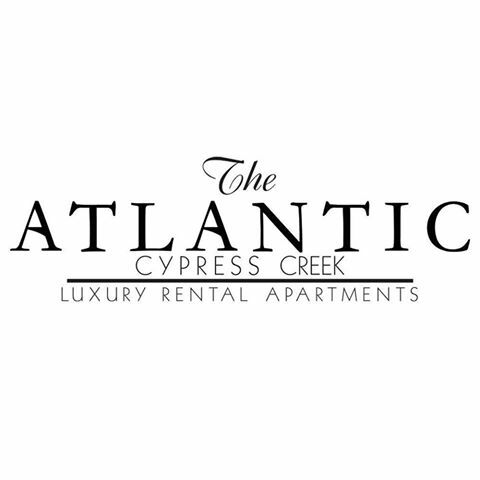 I recommend anyone to stay at the Atlantic Cypress Creek Apartments. The community is OK. I don't like the cars that come in with their Music so loud my windows vibrate. Landscaping is beautiful except a lot of people do not pick up their Dog mess. And I wish they would cut the grass more often. The leasing professionals at this community are very friendly and seemed to genuinely enjoy working here. They go above and beyond the call of duty to make living here feel like a dream come true. Above all, they have an amazing maintenance team who are responsive and proactive with fixing emergencies in a timely manner. Very luxuary and quiet love the amenities, alot of different race and culture. Resident are very nice. Tennis court love it, beautiful laje and bike path. The Atlantic Cypress is a beautiful community. The ammenities and community are so elegant. Walking through the premises aspire security and serenity. It’s been great! I am enjoying my home and the customer service from the PM as I settle in but the amenities could be cleaner. In ex: pool area. Beautiful apartments. They are big and spacious. The process was fast, simple and the stuffs were always available to answer any questions we had. Overall experience of this apartment neighborhood is great. The apartment I moved in is brand new with brand new amenities. Everyone that I have talked to in the neighborhood seems to be very nice.